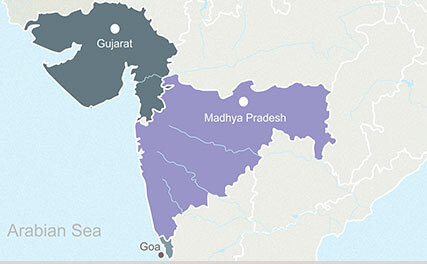 The West part of India consists of the states of Gujarat, Maharashtra, Rajasthan and Goa, along with it houses the Union Territory Dadra & Nagar Haveli and Daman & Diu. Regional languages spoken here are Marathi, Rajasthani, Gujrati, etc. In West India population is around 178.717 million, there is a lot of diversification in states as per language, culture and levels of economic development. Maharashtra and Gujarat are amongst the most industrialized states of India while Rajasthan and Goa are the popular tourist destinations. 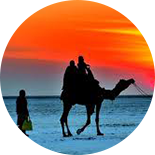 Western Part is very popular amongst the tourists due to Bollywood city Bombay, beaches of Goa, forts and wildlife sanctuaries of Rann of Katch (Gujarat), Temples of Ajanta & Ellora, hill stations of Maharashtra and Palaces of Rajasthan. 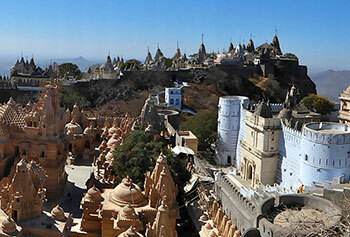 West India is a mix of cultures where distinct religions, traditions, and lifestyles mingle to thrive and prosper. 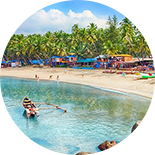 Comprising the states of Maharashtra, Goa, and Gujarat and union territories of Daman & Diu, and Dadra & Nagar Haveli, West India is quite different from rest of India. 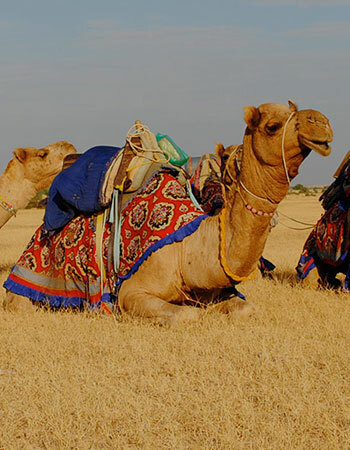 Some parts of Rajasthan is also considered to be in western India. The zone, along with being economically ahead and industrially developed, it is rich in culture, heritage and wildlife. 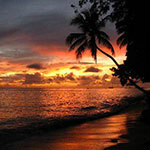 Dotted with innumerable tourist destinations, west India has something or the other for tourist of different choices. From beach holidays to pilgrimage, from hill stations to deserts, from crowed metro cities to serene wilds, west India has it all. 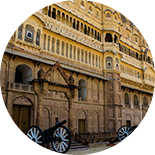 Most popular tourist places in the zone are Jaipur, Jaisalmer, Pushkar, Mumbai, Kumbhalgarh, Aurangabad, Matheran, Goa, Ahmedabad, Rann of Kuchh, Champaner-Pavagadh Archaeological Park, and others. 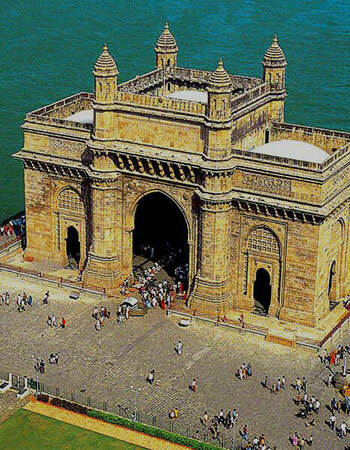 Western India is a rich depository of Heritage sites. 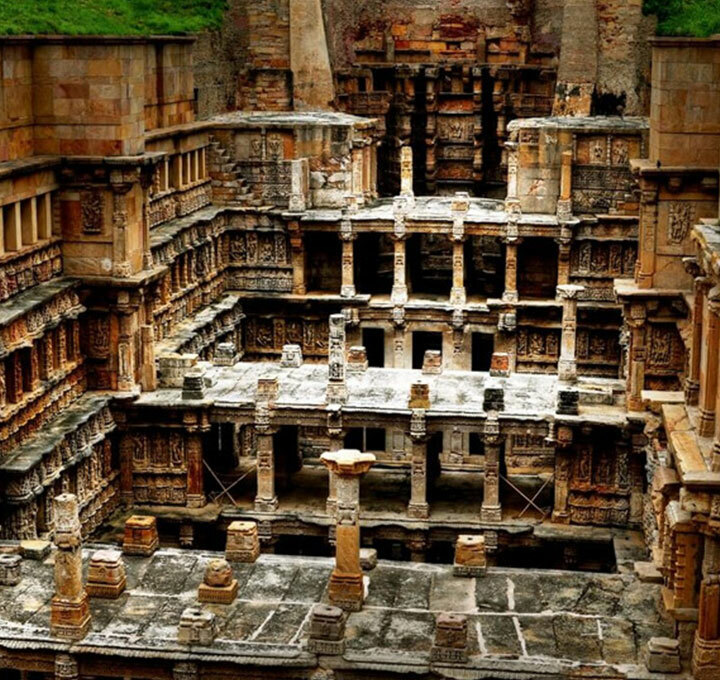 Starting from the remains of Indus Valley Civilization in Gujarat to the Ajanta – Ellora – Elephanta Caves in Maharashtra and the mountain forts of Aurangabad and Churches of Goa. 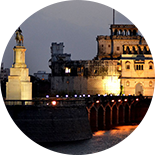 Maharashtra in itself is a reservoir of relics of the past that dates back to thousands of years. 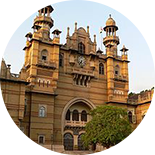 Aurangabad is a heritage hub of Maharashtra. 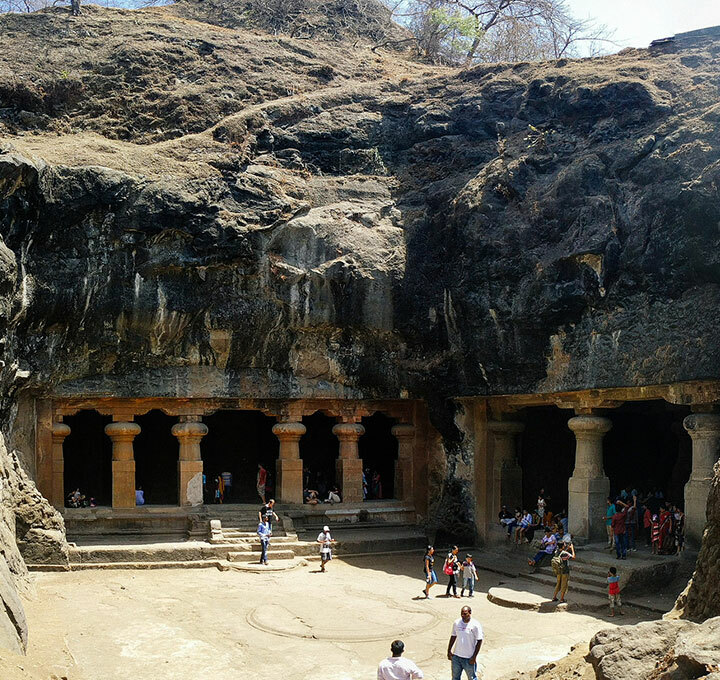 Its periphery has sites such as the Ajanta Caves of 2nd century BC to the 6th century, Ellora Caves that date back to 600 to 1000 AD, and Elephanta Caves of the 5th to 8th centuries. 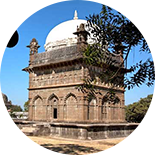 The Daulatabad hill fort, Lohagad Fort and several other hill forts are some must go places here. The Chhatrapati Shivaji Terminus (formerly Victoria Terminus) in Mumbai dates back to1887–1888 and is a most visited point of heritage. 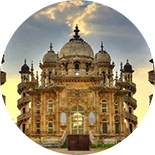 The history of Gujarat dates back to the Indus valley civilization period and the relics of the same are worth a visit. 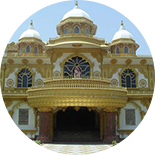 Religious sites in West India are a rainbow of different places of worship for different religions. 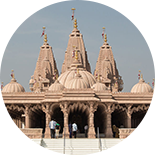 Here you find many revered worship houses of Hindus, Muslims, Sikhs, Christians, Jains and various other religions. 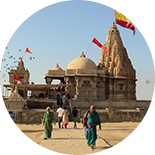 Most popular religious places here are Ashtavinayaka (8 forms of Lord Ganesha) Temples (across Maharashtra), Trimbakeshwar (Nasik – Maharashtra), Sai Mandir (Shirdi - Maharashtra), Shani Signapur( near Nasik –Maharashtra), Akshardham Temple (Gujarat) , Bala Hanuman Temple (Gujarat), Sun Temple (Gujarat), Somnath Temple (Gujarat), Dwarkadhish (Gujarat) and many others. 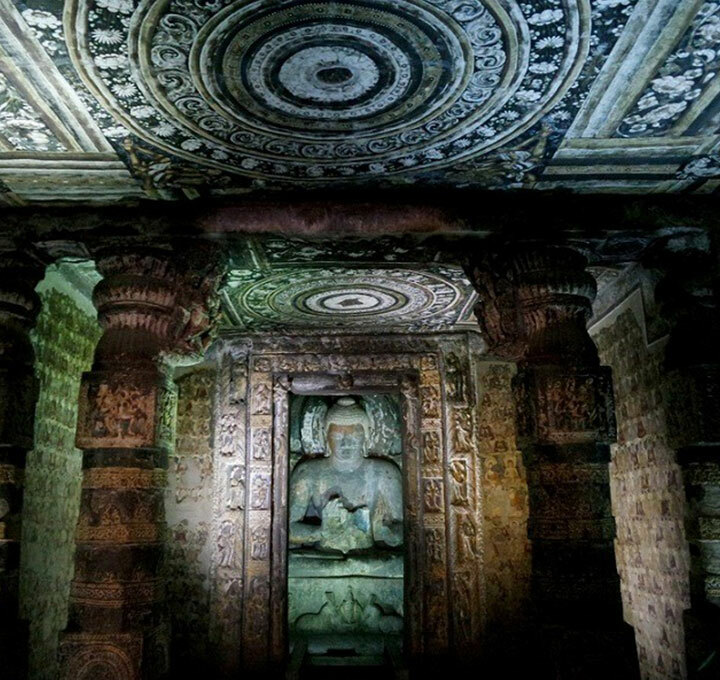 The Ajanta caves in Maharashtra preach the age old Buddhist teachings and Ellora cave temples belong to Buddhists, Hindus and Jains. 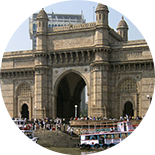 The very famous Haji Ali Mosque – in the middle of the sea, at Mumbai is a frequent place visited by tourists. Not to miss the age old Churches of Goa – The Church of St Francis of Assisi, Basilica of Bom Jesus, Church of St. Andrew and many others. The Mount Girnar, a holy place of Jain community is situated on a Hill at Junagadh, which houses many more Jain and Hindu temples. 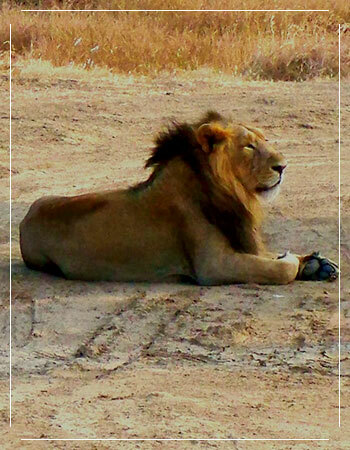 A fantastic mix of rich topography and multifarious climatic conditions, has blessed West India with lush green wilds that are a home to several animals and plants. 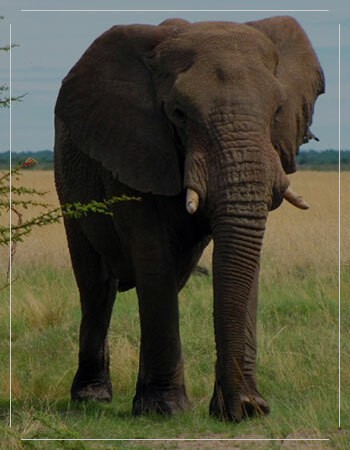 Extremely rich and varied wildlife here has accounted for many wildlife sanctuaries and national parks that are the prime tourist attractions. 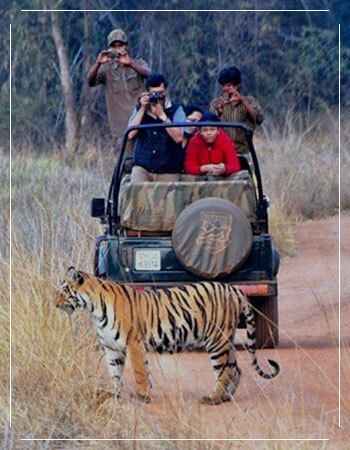 The finest wildlife sanctuaries here are the Gir National Park in Sasangir (Gujarat), Marine National Park and Sanctuary (Gujarat), Velavadar National Park (Gujarat), Krishnagiri Upavan National Park (Maharashtra), Nal Sarovar Bird Sanctuary (Gujarat), Tadoba National Park (Maharashtra), and the Bondla Wildlife Sanctuary in Goa. The western region in India boasts of distinctive cuisines, from bland to fiery hot, from vegetarian delights to smoky sea food, you find it all. Vegetarians enjoy the local preparations of Vada Pav, Pav Bhaji, Poha, Gujarati thali, Kadhi, Dhokla, Thalipeeth and more that have a distinct flavour. Different Maharashtrian and Goan preparations of non-vegetarian delicacies such as beef vindaalu, goan fish curry, kohlapuri mutton etc., are placed on global platters. Goan food is partly influenced by the Portuguese, owing to history. 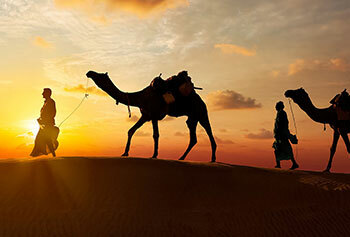 The western side of India is decked-up with colourful states of Rajasthan and Gujarat, exotic Goa and rugged Maharashtra. Predominant festivals in the zone are Pushkar Animal Fair, Rajasthan desert festival, Rann of Kuchh festival, Kite festival in Gujarat, Navaratri, and Ganesh Chaturthi & Gudhi Padava at Maharashtra. 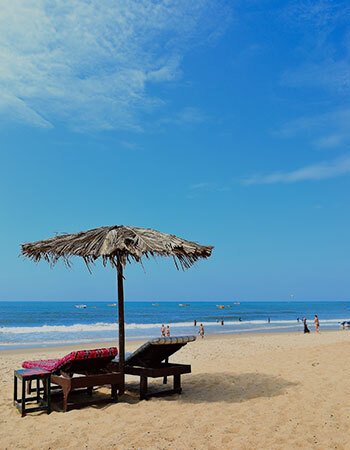 Along with Easter, Good Friday & Christmas, Goa Carnivals and Goan Feasts such as Vasco Saptah, Touxeachem Feast, The Feast of St. Francis Xavier etc., are very popular amongst locals & tourists. West India is always better experienced than read or explained!! 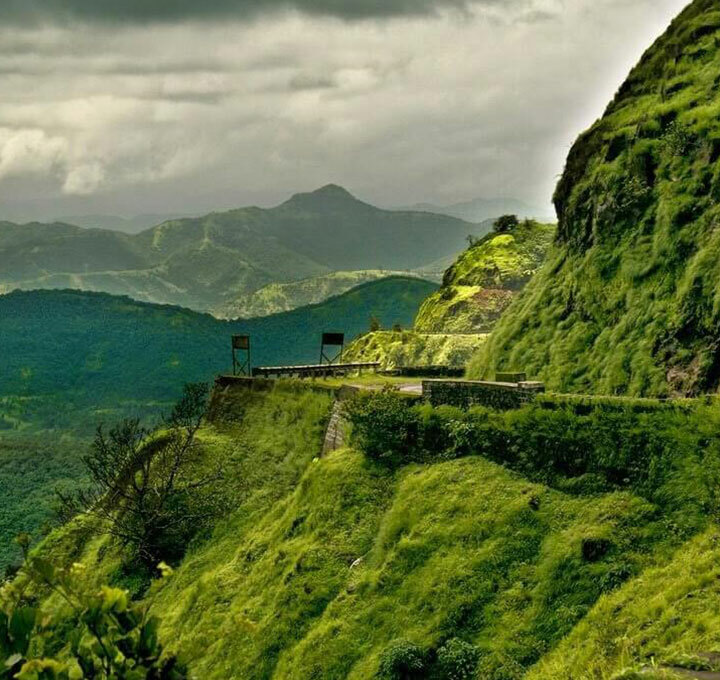 Matheran the smallest and one of the coolest well know hill stations of India. 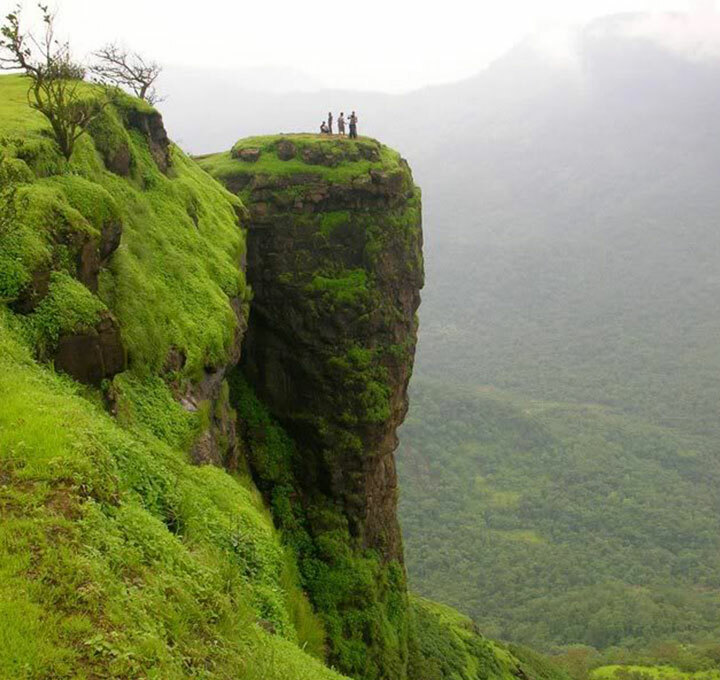 It is situated on the Western Ghat mountain range in Maharashtra at height of 2636 feet above the sea level. 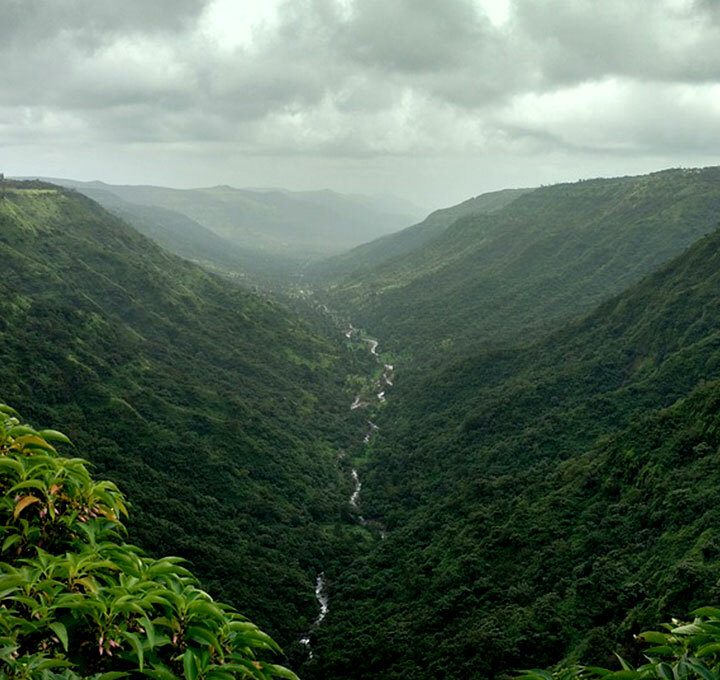 Lonavala a town for its natural beauty and cool climate lies between Mumbai and Pune. The best time to visit is during monsoon, as this place becomes more beautiful. 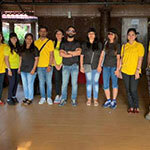 Lonavala especially recommended for hikers and trekkers. 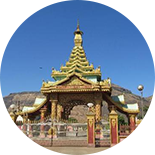 Panchgani or the Land of Five Hills is a municipal council in Sahara district Maharashtra famous for its spectacular natural beauty, scenic views, lush green scenery and magnificent sunrise & sunset points.